A Chinese worker measures a steel product at a Dongbei Special Steel Group Company Ltd. plant in Dalian, northeast China's Liaoning province, Oct. 13, 2015. A collision of government policies and market forces has slowed China's plan to cut coal mine capacity as demands from the steel industry threaten to delay long-term goals. In February, the cabinet-level State Council ordered the coal and steel industries to slash surplus capacity under pressure from rock-bottom prices and anti-dumping measures against Chinese steel exports. Coal mines were told to shed 500 million metric tons of annual production capacity in three to five years and consolidate another 500 million tons under more efficient operators. Steelmakers were ordered to eliminate 100 million to 150 million tons of capacity in the next five years. China accounts for about half of the world's output and consumption in both industries. The top government planning agency has been warning for months that mines and mills have fallen behind in making the cuts scheduled for this year. 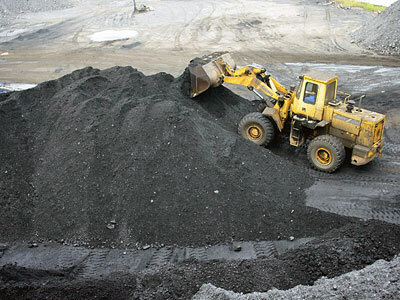 As of June, coal and steel producers had met only 29 percent of their annual targets, the National Development and Reform Commission (NDRC) said. The warnings were met with a mix of compliance and resistance. By the end of July, steelmakers had fulfilled 47 percent of their 2016 target, while coal producers realized 60 percent their goal in August, the NDRC said. But the situation has been complicated by uneven effects that the policy has caused, including a 50-percent spike in benchmark coal prices since the start of the year. A combination of factors has been cited for higher prices and low stockpiles, including government orders to cut mine operating days, increased electricity use due to hot weather and transport delays caused by floods. In early September, the NDRC agreed to ease production limits for some members of the China National Coal Association (CNCA) during periods of higher prices, resuming restrictions when prices subside. The response to temporary shortages has done did little to stem the crisis, due in part to demands from the steel industry. Despite international pressure to cut output and exports, China's steelmakers have been trying to take advantage of short-term price hikes, spurred by government-backed infrastructure projects and economic stimulus plans. In the latest international dispute over excess production and exports, the European Union slapped anti-dumping duties of up to 73.7 percent on Chinese steel products last week. In a statement on Saturday, China's Ministry of Commerce called the trade measures "unreasonable and unfair," Reuters said. But steel profits also depend on coal prices and supplies. 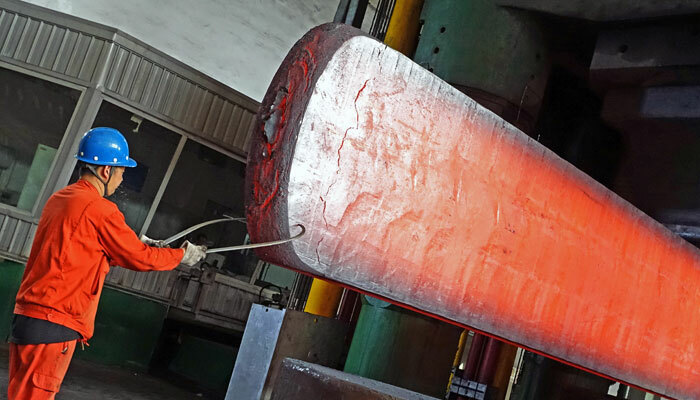 While China's coal production through August fell 10.2 percent, crude steel production rose 3 percent for the month and declined only 0.1 percent for the eight-month period, the National Bureau of Statistics (NBS) said. "This is the problem of cutting back on production in one sector when demand may be rising for that product," said China energy expert Philip Andrews-Speed at the National University of Singapore. "In other words, the plan is rarely successful at anticipating the market," Andrews-Speed said by email. On Sept. 23, the NDRC held an "urgent" meeting with producers to deal with the steel industry's demands, the South China Morning Post reported. The government resisted pressure to increase supplies of coking coal, used in steelmaking, but it reportedly agreed to keep steam coal prices from rising too far or too fast. The agency had initially allowed mines to boost daily output by 300,000 tons under a contingency plan to check rising prices. On Sept. 28, the NDRC lifted the daily output limit by 500,000 tons, the official English-language China Daily said. The government also eased a cap on the number of operating days for more efficient mines, the official Xinhua news agency reported. "If coal prices keep going up fast, we will unleash more capacity to ensure a stable coal supply," the commission said in a statement. The NDRC has "plenty of policy tools" to stabilize coal prices, said an unnamed official, according to Xinhua. "The current rise in coal prices lacks a market foundation and cannot last. China's coal supply will not see big problems," the official said. But what began as increased demand from the steel industry has developed into fears that China may face shortages of winter fuel. "The extent of the production cuts earlier this year has been too severe," said David Fang, a director of the China Coal Transport and Distribution Association, in a Bloomberg News interview last week. "Now the government is trying to fix the problem by relaxing some controls on output, but there is only limited time now before the winter arrives," he said. The price pressures and contingency adjustments have added to skepticism that China will make meaningful capacity cuts in either industry. The reopening of previously closed steel production lines and similar adjustments by coal mines have raised suspicions that short-term changes in output may have been counted toward the permanent capacity cutting goals. "We are monitoring how they will achieve their target," said Kazuo Tanimizu, head of the World Steel Association's raw material committee, as quoted by Reuters. "Honestly speaking, their production isn't going down." "With the rising coal price, some private coal mines have already secretly restarted production," industry analyst Guan Dali at chem365.net told the Communist Party-affiliated Global Times. Perhaps most troubling is the interplay between China's management of the coal supply and the international market, which has also increased price pressures. "The reduction in domestic output paradoxically has managed to help prices on the global market, because generators have been buying more imported product to get around local shortfalls and meet pollution reduction requirements," a Bloomberg commentator wrote on Sept. 23. "The shift to greater import dependence has been sharp enough to create a problem for Beijing. While domestic mine workers are being put on reduced hours or laid off, and are disturbing public order by going on strike, foreigners are making outsized profits," said columnist David Fickling. China's responses to the swings in the coal market have had some unexpected beneficiaries, including North Korea. Despite international pressure on Beijing to enforce sanctions on Pyongyang over its nuclear program, China's coal imports from North Korea rose to record levels in August and were up 11.7 percent in the first eight months of the year, Reuters columnist Clyde Russell said. North Korea's hard coal is particularly useful for steel production, while its prices are far below those of competitive anthracite, he said. China appears to be applying a series of economic, trade and environmental policies at cross-purposes, but it is trying to steer a narrow course between unintended consequences that will allow it to claim at least partial success in pursuing its goals. Short-term price hikes for coal may have brought a temporary end to the prolonged slump that previously failed to find a bottom despite moderate declines in demand, but China's mining overcapacity may still be as high as 2 billion tons. Steelmakers may be driving temporary demand growth, but they are not the main show. China's effort to stabilize its economy is the primary concern, leading to an uncertain mix of credit growth, infrastructure spending and a potential property bubble. Once those forces either settle or pop, the problems of steel overcapacity are likely to remain much as before. The government may have to rein in its steel industry long before that if it hopes to achieve market economy status with the European Union and other major partners by an agreed World Trade Organization deadline in December. If not, China faces prohibitive anti-dumping measures as an alternative. Given the consequences, China's planners may have little time to deal with the industry pressures they have unleashed. "Demand for steel in China has risen in 2016 as a result of credit easing, but it is not clear how long this will last. At the same time, progress in closing steel plants is falling behind schedule," said Andrews-Speed. "So, following its own logic, the government should not encourage extra coal production but should enforce the closure of unprofitable steel plants," he said.